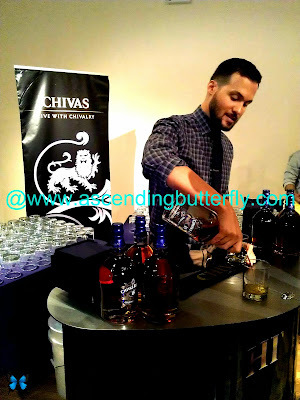 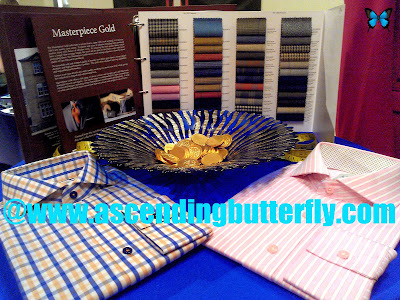 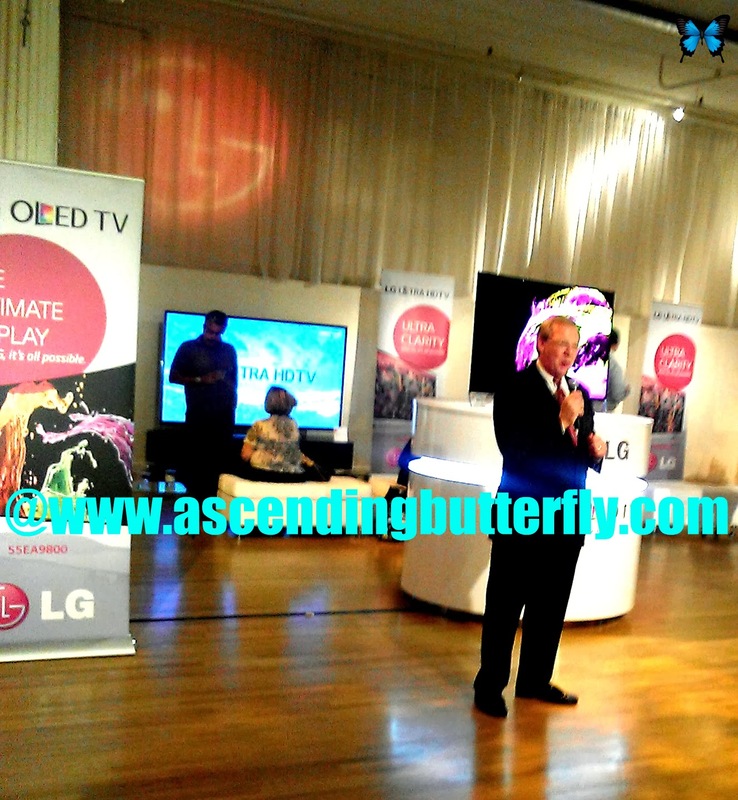 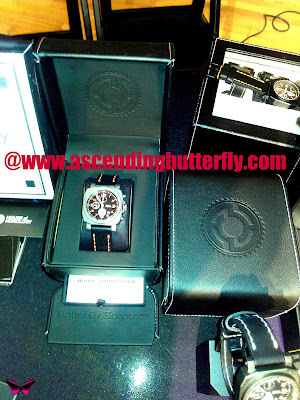 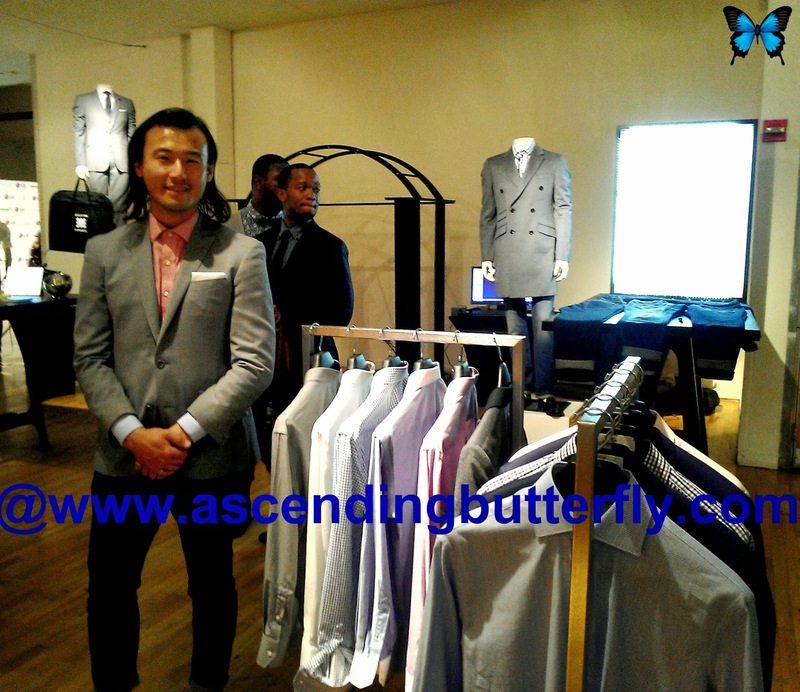 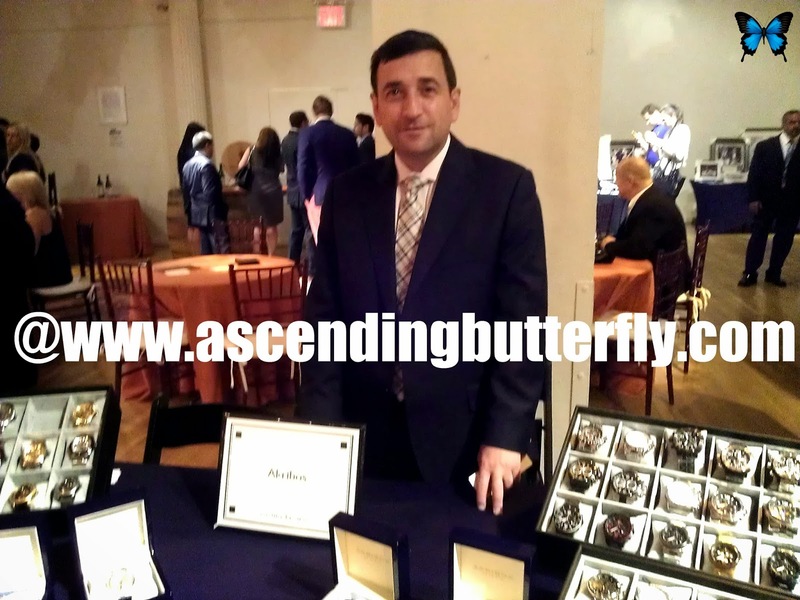 Ascending Butterfly: Did you miss the @TheLuxuryReview event in New York City? Check out my Photo Highlights! 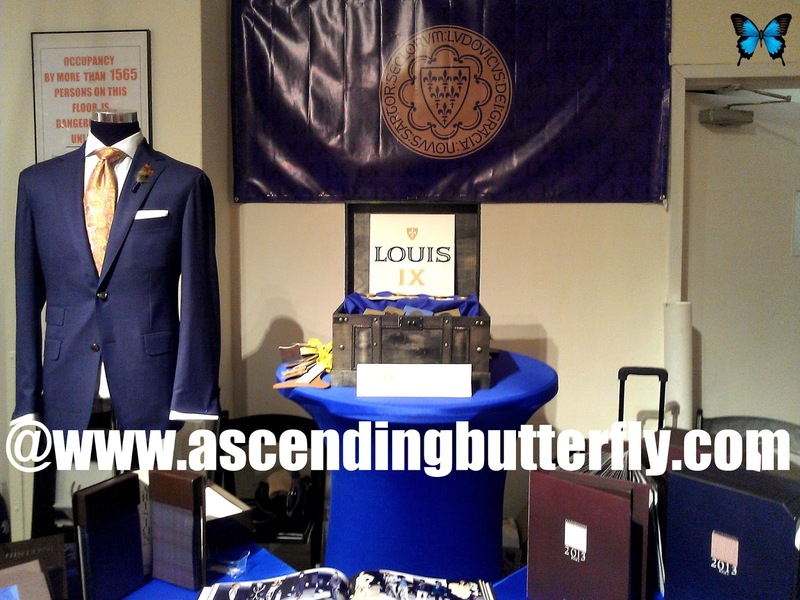 Did you miss the @TheLuxuryReview event in New York City? 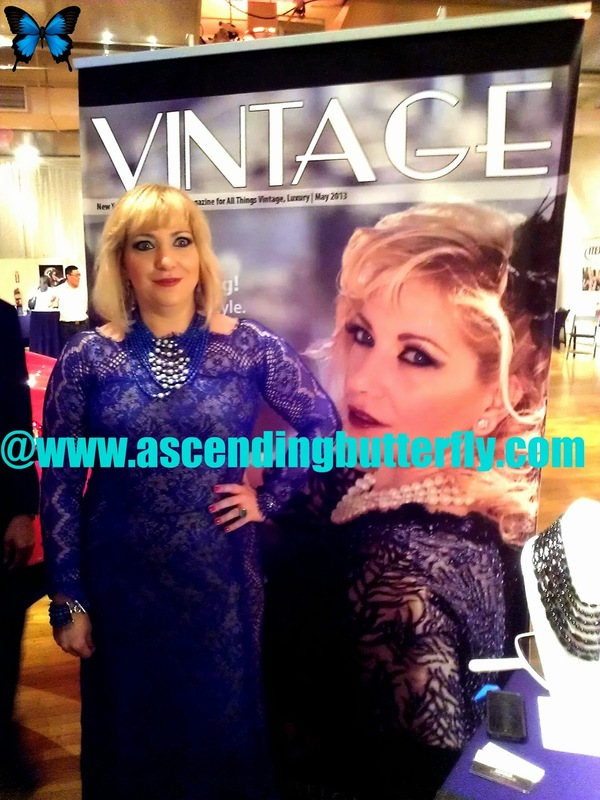 Check out my Photo Highlights! 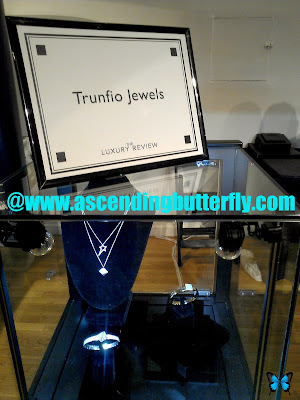 I could have easily titled this post My 2013 Christmas Wish List, as this exclusive press showcase and ultimate shopping event of well curated brands and items for those of discerning taste who really appreciate the finer things in life was certainly a luxury lovers dream. Industries on hand included automotive, aviation, fashion, jewelry & timepieces, luggage, wine & spirits, electronics and more! 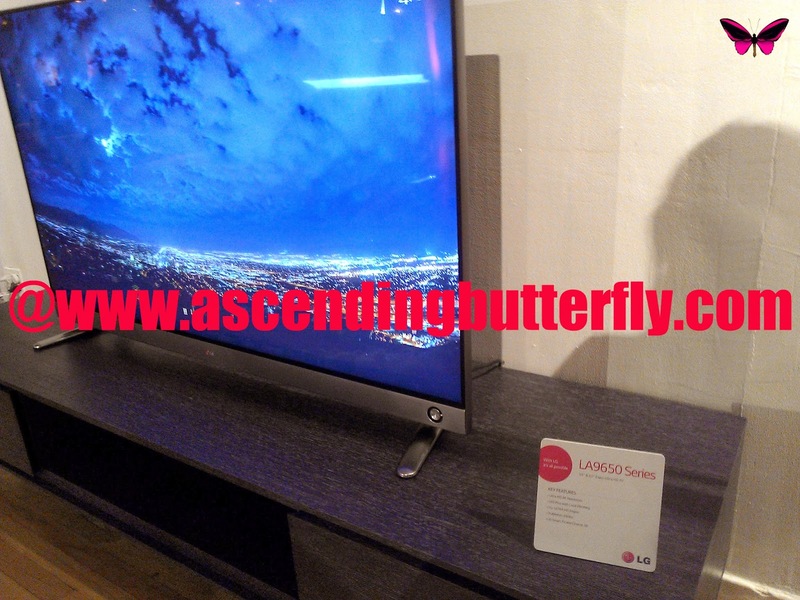 There were some major debuts including the 2014 McLaren 12C Spider courtesy of McLaren Long Island and LG Electronics USA also showcased the debut of it's razor thin 55 inch CURVED OLED TV. 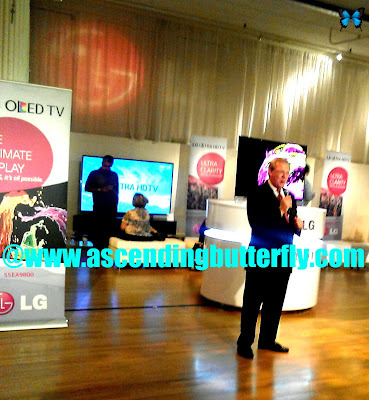 They also featured the LG G2 Smartphone (which if you remember I attended the Global Launch for this phone in New York City, you can see that coverage HERE). They also displayed their newly expanded line of Ultra Hi-Def TV's led by the 84-inch UHD model with four times the resolution of today's HDTV's in their ultra high-tech lounge. 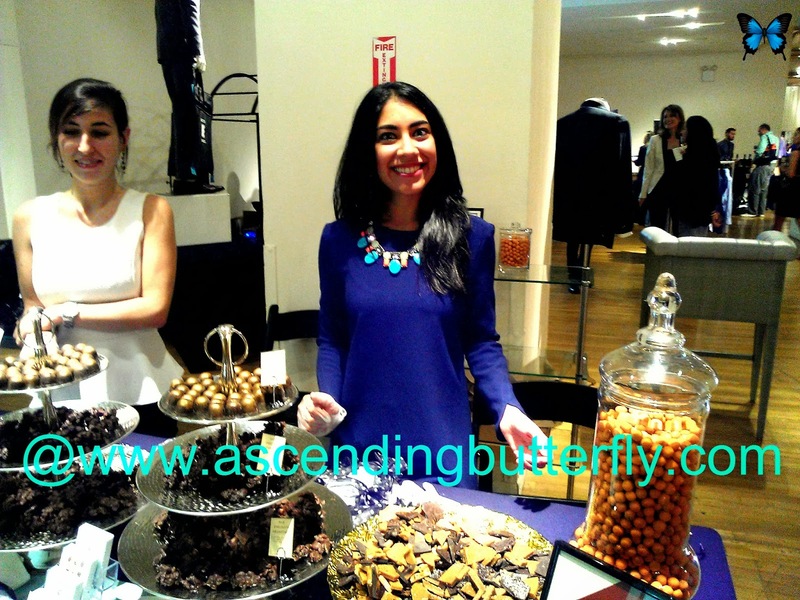 Tache Artisan Chocolate treated attendees to chocolates using the finest ingredients, with no artificial colorings, flavorings or additives! 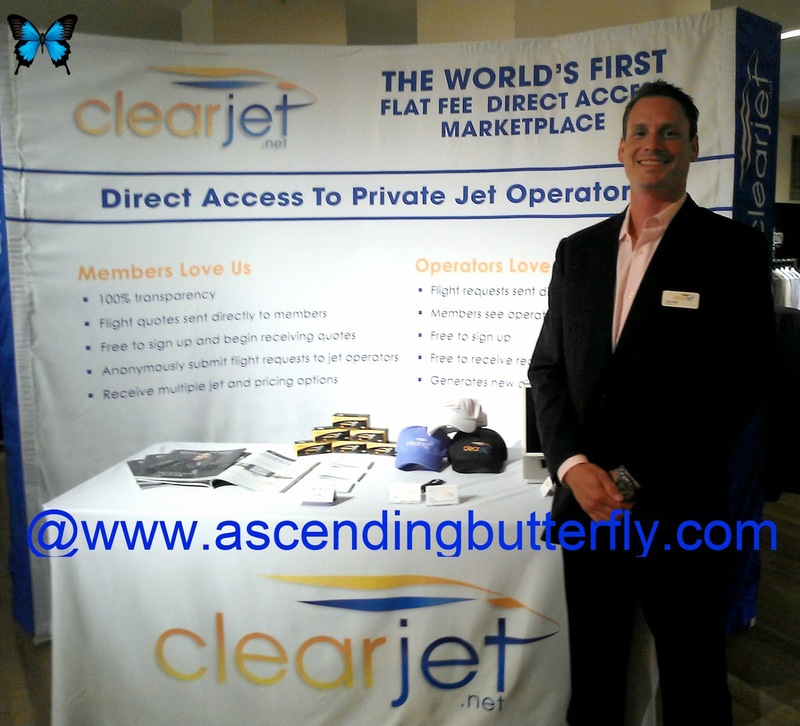 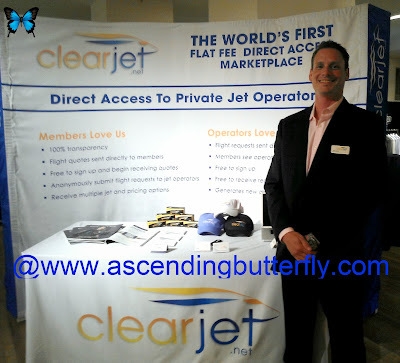 ClearJet the first flat fee direct access marketplace for Jet Charters! Elite Mobile Cigars - They designed a very special cigar called 'The Stanyon Cigar' whose proceeds benefit Heart to Heart Foundation - www.heart-heart.net - Created for the parents of two sisters, each one killed in a car accident exactly 19 months apart, those tragedies resulted in organ donations and the parents are now passionate advocates of organ donation. You know just how much Ascending Butterfly loves featuring Brands that GIVE Back, and their passion for their products and for their amazing cause made this particular brand a stand out for me! Oddly enough I met with Chivas Regal, twice in that same night, first during The Luxury Review and then again later that night at the Hispanicize NYC Meetup at the CopaCabana Night Club! 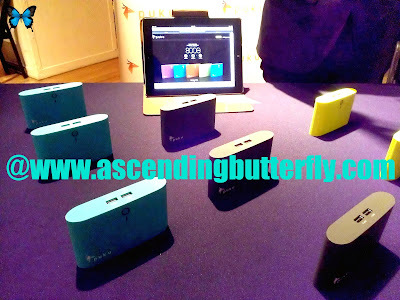 Apparently much like me, they are very social butterflies! 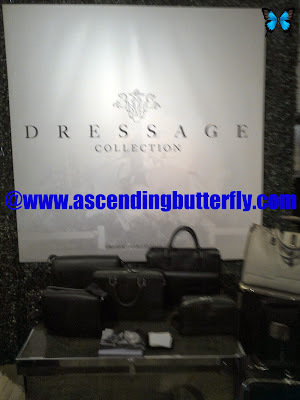 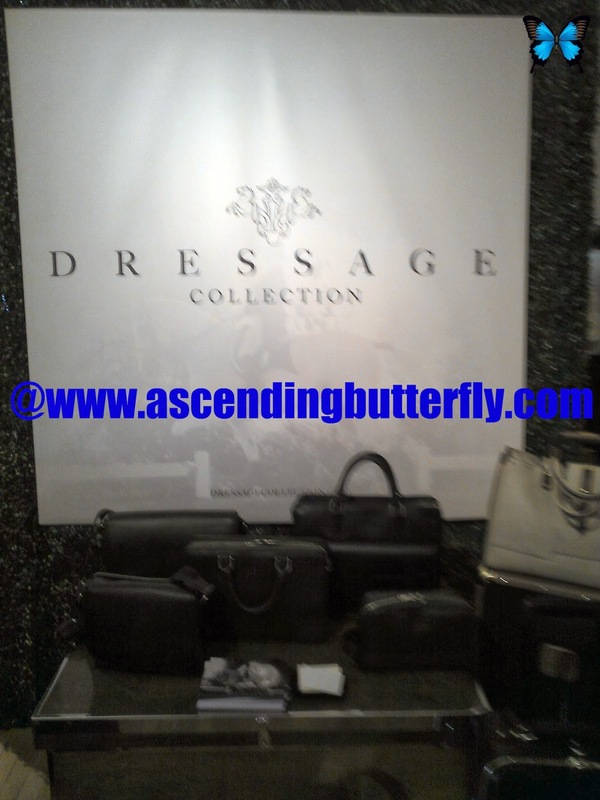 DRESSAGE Collection showcased a stunning collection of luxury handbags! 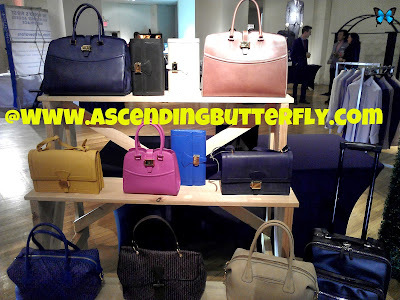 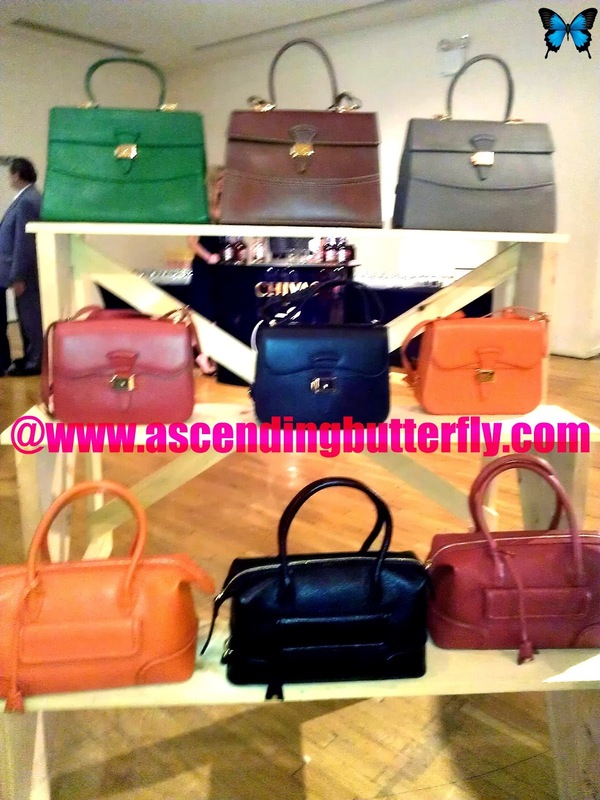 Yes, Ascending Butterfly is Handbag obsessed! 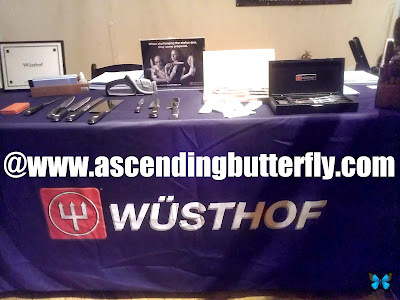 Cooks, Chefs and serious foodies already know the Wusthof Brand and their quality knives! Louis IX uses the finest textiles and fabrics and also offer an exclusive concierge service! 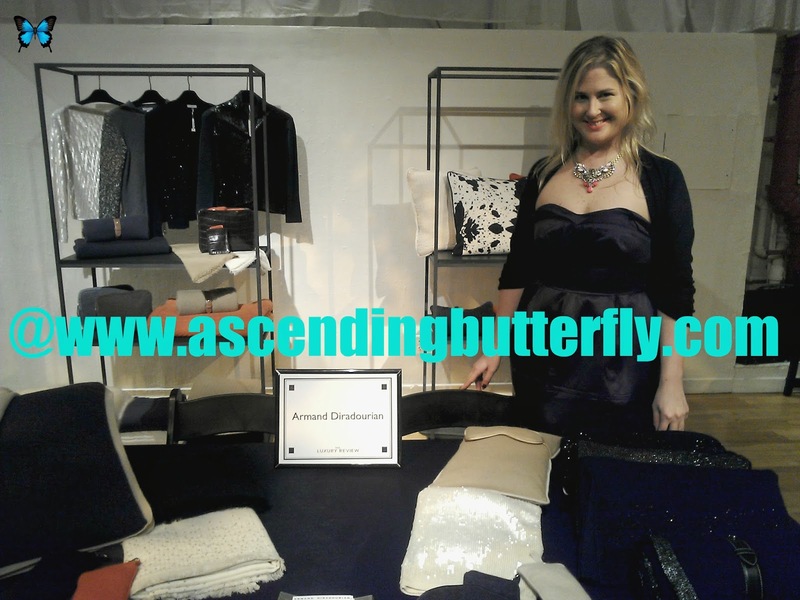 Anatomie from Europe offer modern, feminine and sophisticated styles for women! Armand Diradourian Cashmere showcased a mix of home, clothing and travel goodies! 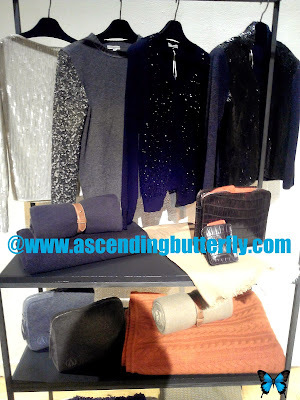 I only wish there was 'touch-o-vision' so you could feel how soft and cozy their cashmere is! I would also love Santa to slip something Cashmere and Fab under my tree! 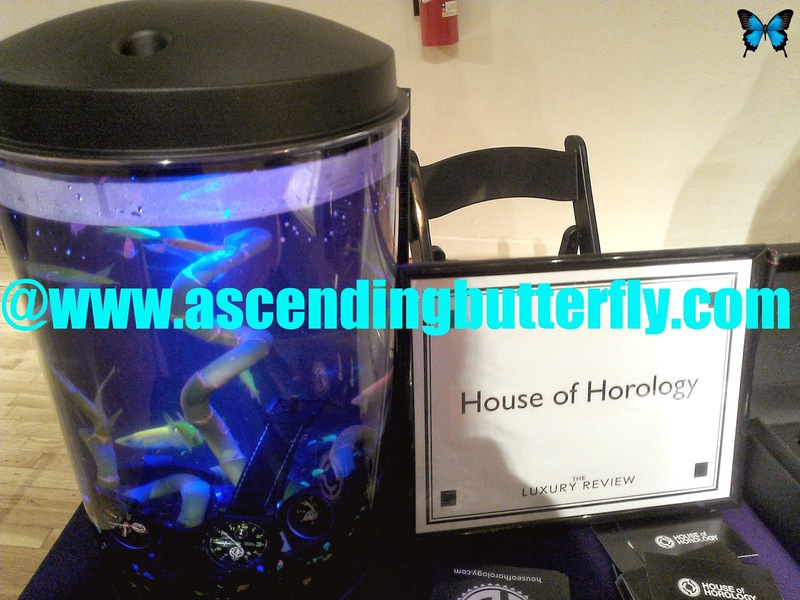 House of Horology presented their timepieces in a most unique way! Those fish are styling in that tank! Eleven James offers an annual membership program that is helping to redefine how luxury watches are being discovered, this takes 'of the month' club's to a whole new level that's for sure! 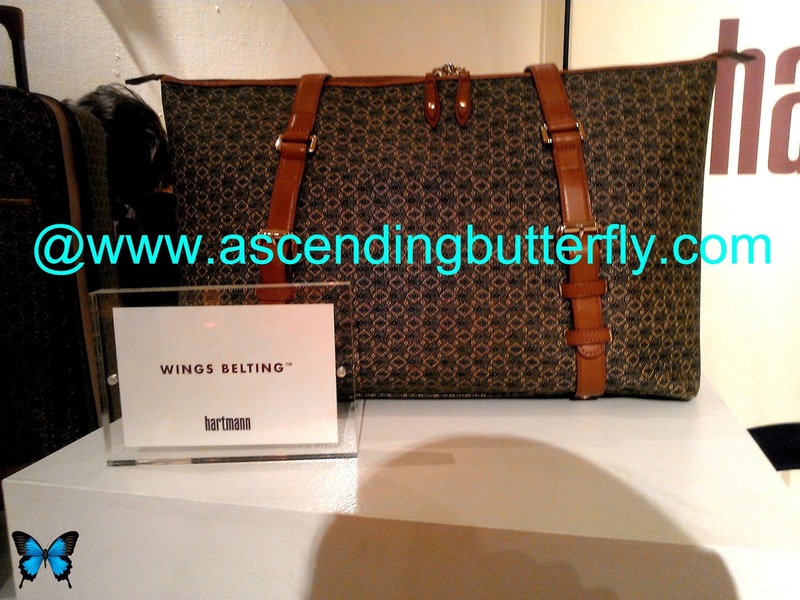 Hartmann presented their luggage, business cases, and totes! 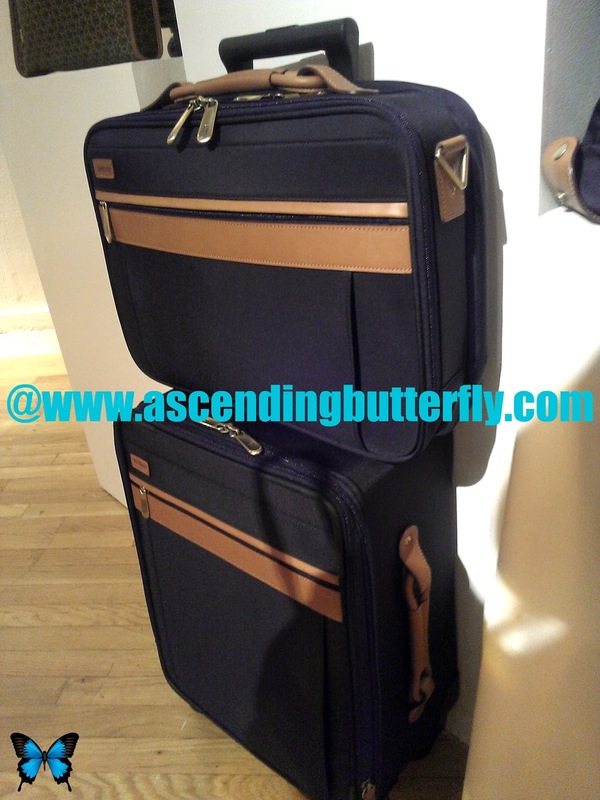 You know just how much I love Travel, and they are making me think it's time for a new suitcase in my life! Stag's Leap Wine Cellars presented a selection of their finest wines! 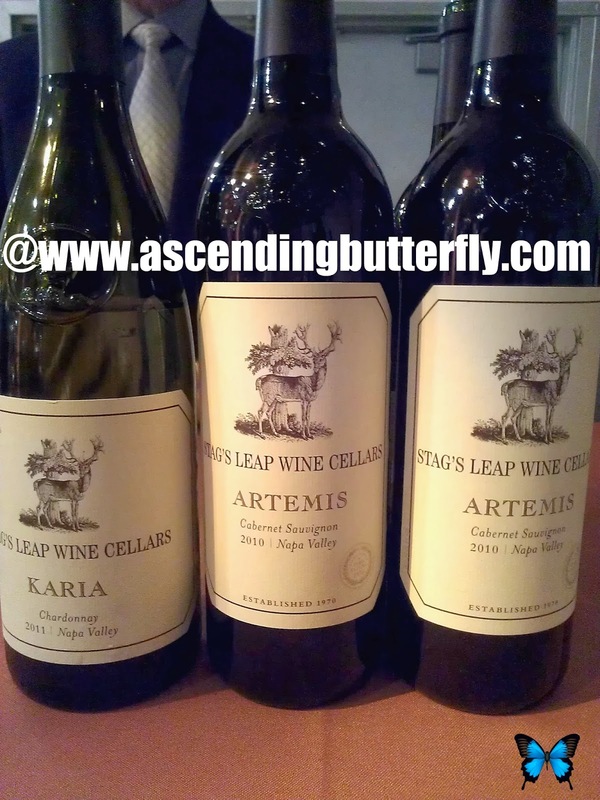 I enjoyed the Chardonay as well as the Cabernet! 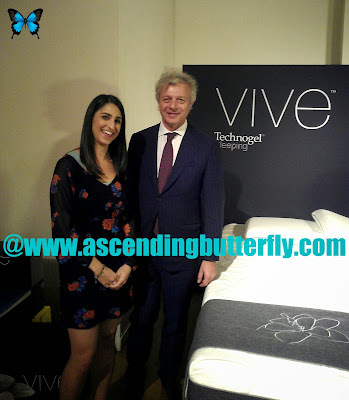 Technogel Sleeping presented their pillows and mattresses, I definitely want Santa to slip both of them under my tree! 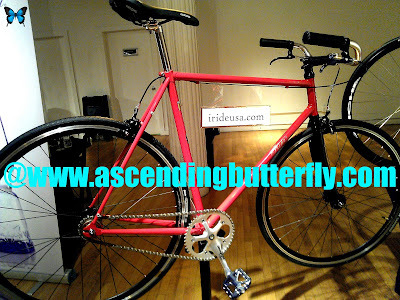 Iride Italian Bicycles presented their hand crafted bicycles (since 1919) that are now available in North America! I think I need to pimp my Family Room's TV, looks like LG has something for everyone! Disaronno created a signature punch for the occasion! The Puku Charger is a powerful, portable and rechargeable battery for smart phones, tables mobile or hand-held devices with USB Chargers! Perfect for us busy blogger on the go that's for sure. 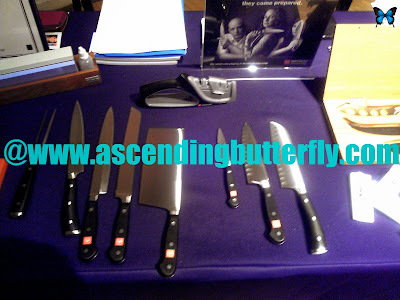 I'm thinking perfect stocking stuffer! Akribos which means exact and precise in Greece offer watches with a bold and industrial look that has received rave reviews - Ladies stuff this in his stocking this year, and you will score MAJOR brownie points! 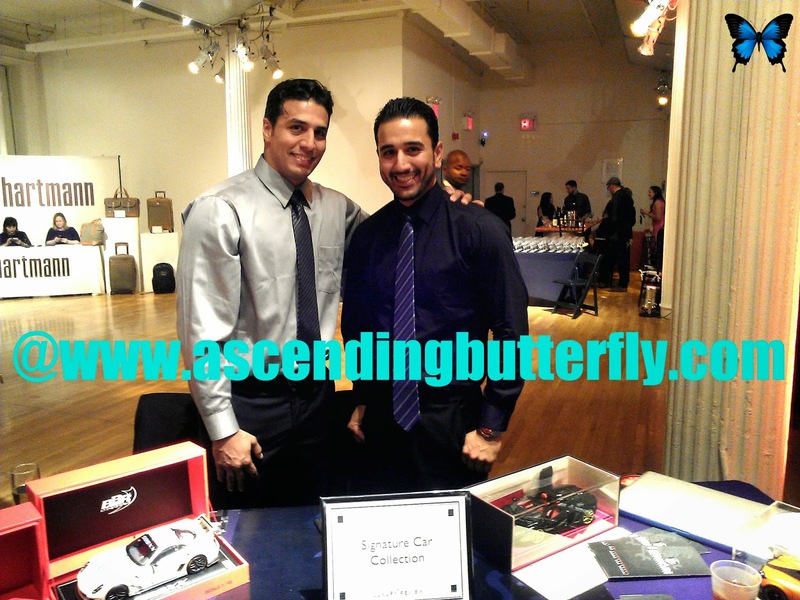 Signature Car Collection offer an un-paralleled car rental experience! 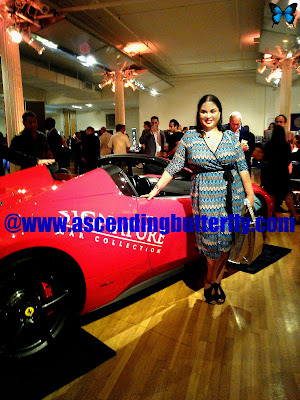 You know how much I love red, wouldn't I look fab behind the wheel of this car? BTW, I'm totally rocking my new Margherita Wrap Dress in Turquoise from IGIGI! My shoes are Earthies (The Veria Too Style) and my bracelet is Jade & Jasper! 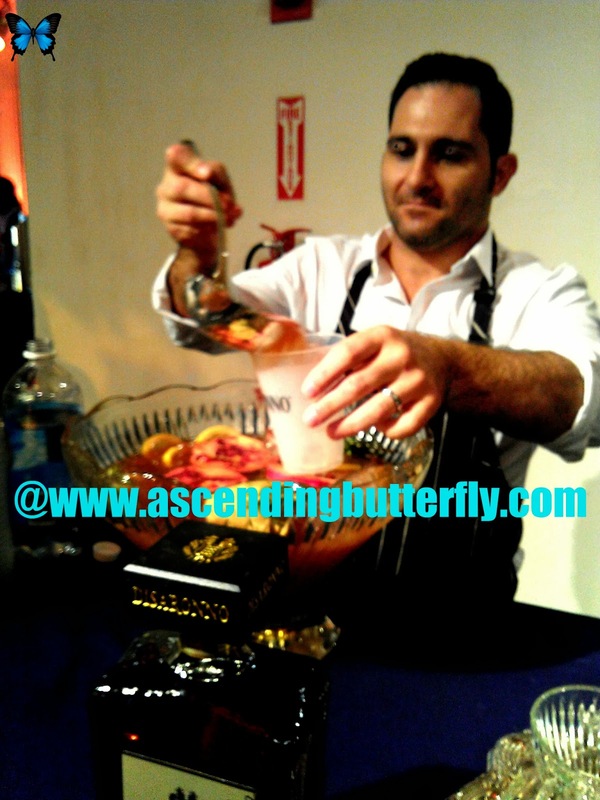 I loved that such a wide variety of brands were brought together to create such a fun and exciting event! There were a few more brands in attendance than shown above, I really need to remember that the hi-res setting uses so much memory! Which Brand Featured Above is YOUR Favorite? 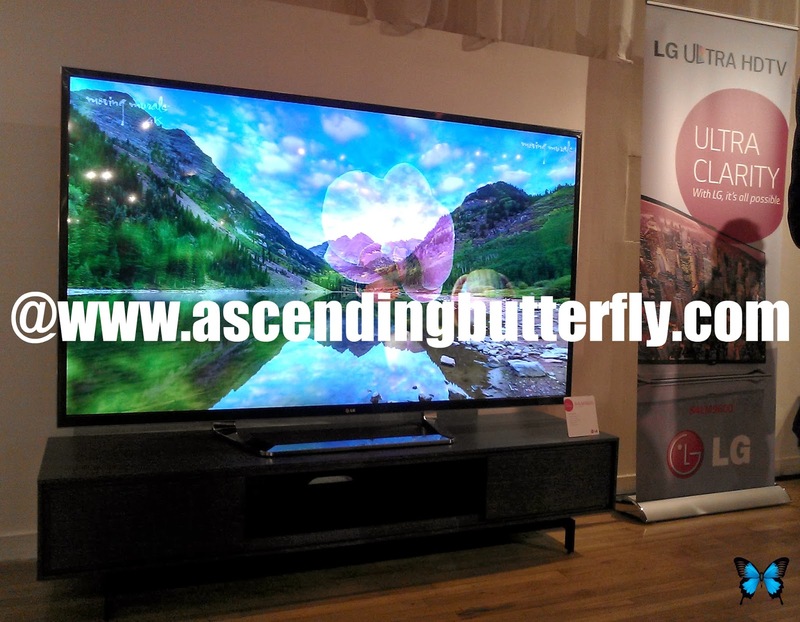 Which of these would you want to see under the tree this year? 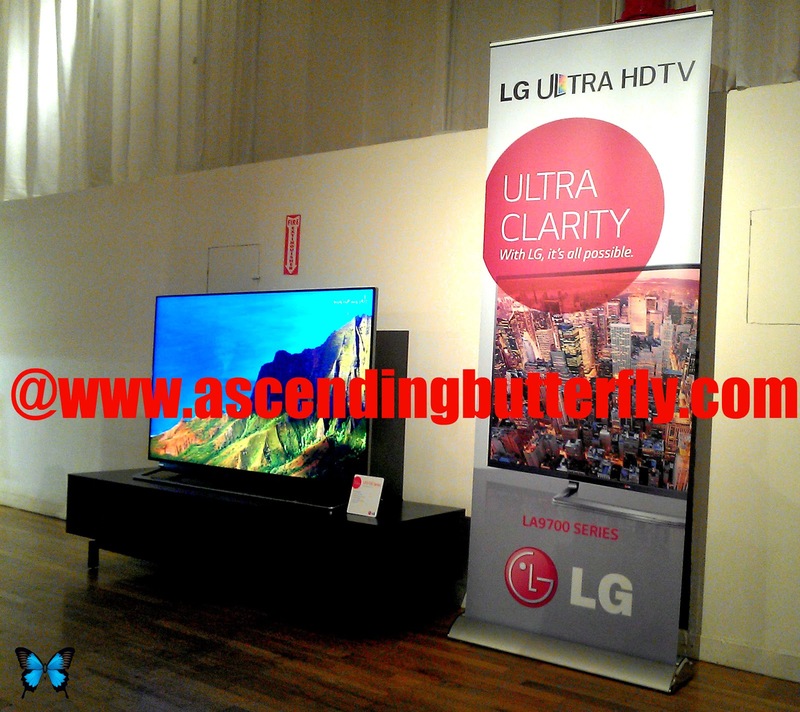 FTC Disclosure: LG Electronics provided Ascending Butterfly with Press Access to The Luxury Review for editorial consideration, all opinions are 100% my own. I have NOT been compensated to share my event recap coverage, nor were there gift bags just so you know! 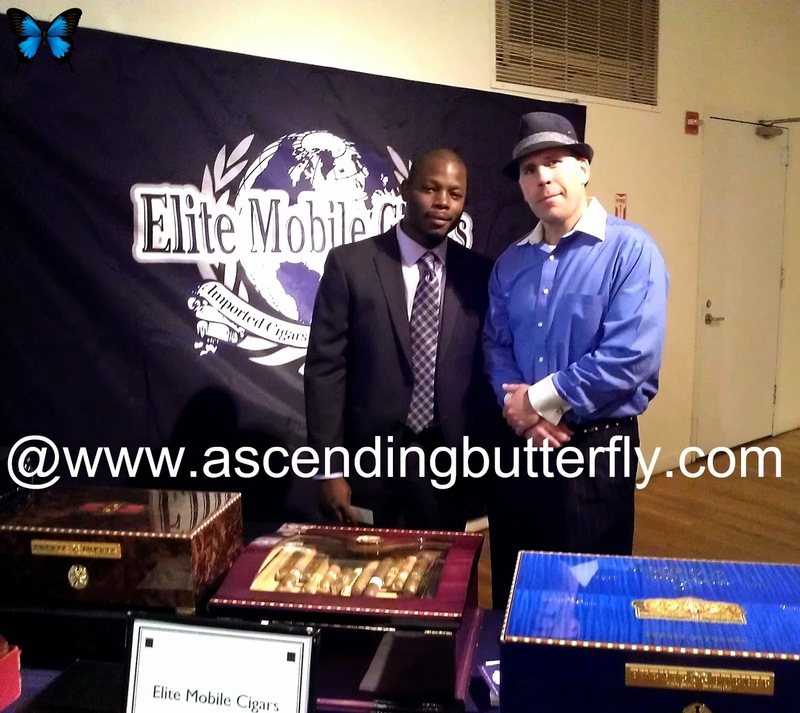 I am disclosing this in accordance with the Federal Trade Commission 16 CFR, Part 255 - Guides Concerning the use of endorsements and testimonials in advertising, you may visit our full giveaway and disclosure page for complete policy information. How did you know what I wanted for Christmas !! 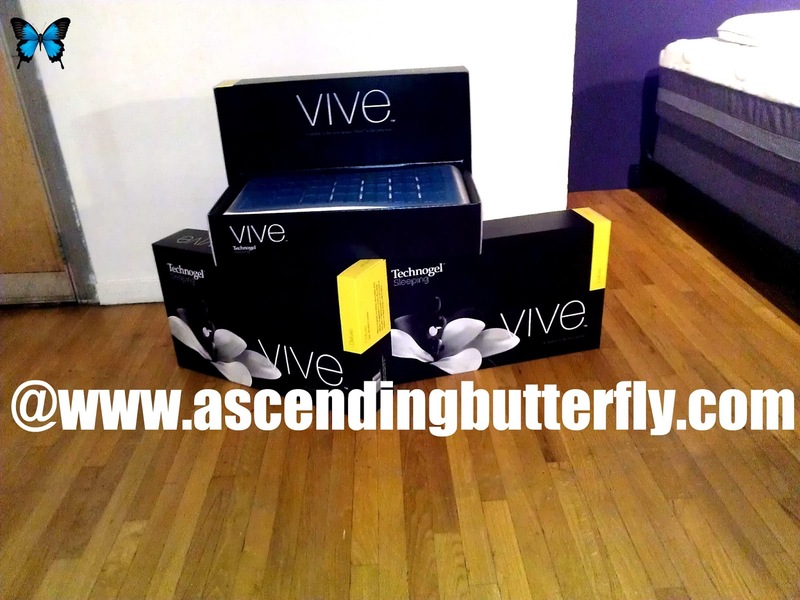 I could use the lovely vive mattress and pillows, while waching the sweet LG tv,draped in Trunfio Jewels and a yummy drink and so much more .A girl can dream.